Our Custom Design team will make you look great on paper—no matter your project or endeavor. We provide the full complement of skills and elements in one studio, lovingly and passionately overseen by master creative designer Maria Gossard. The team’s abilities, guided by Maria’s discerning eye and taste, merge to deliver a cohesive solution. 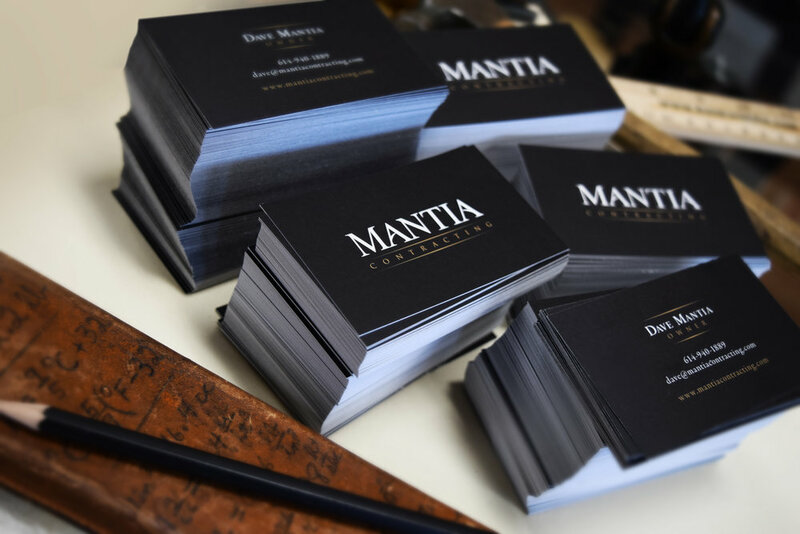 Together, we think through the entire design and creative process to ensure that your personality, brand, and philosophy are well-represented on paper—from graceful sophistication to lighthearted simplicity or anything in-between. We offer writing and editing services, graphics, printing, binding, and branding. Whatever paper-based project you undertake, know that we are here to assist with as few or as many parts of the project as you need. We pride ourselves on delighting our clients with text content and editing; logo and branding design and articulation; selection of just the right paper from our wide selection of quality textures, finishes, colors, weights, and compositions; artisanal printing and binding techniques; and layout and design. 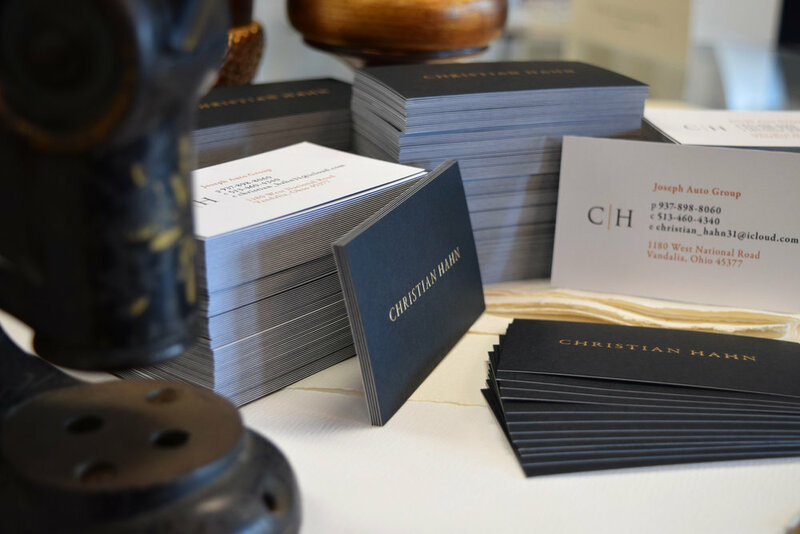 The range of our private and commercial engagements has included: books, business cards, product catalogs and brochures, personal and business stationery pieces or suites, announcements and memorials, logos, and marketing collateral. Whether your audience is clients, prospects, unknown readers, family, friends, or even your lover – we’ll provide you with that “wow” factor that will make you stand out and be remembered. “It is nice to know that there are still some business owners that understand the meaning of REAL quality and TRUELY PERSONALIZED service! So many calling cards are more or less generic, but I was looking for a calling card that makes a 'statement' and one that is unique to me. 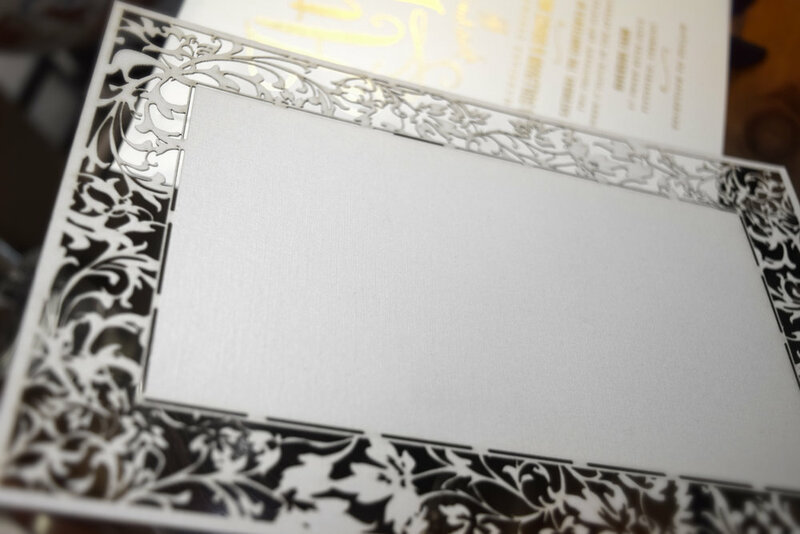 I was lucky to find Maria Gossard Designs and I am very appreciative of the guidance and patience (as I weighed many choices) they offered and of course, I love my gorgeous calling cards!" What more can I say, the tears flow every time I visit Maria and Roger. They helped me create memories that will last forever. Gracias!